Bible stories can be great for teaching children. And they also have real meaning for anyone who wants to understand God and how He wants us to act. Bible stories are helpful for teaching children, and they also have vital lessons for people of all ages. The Bible is full of stories, from Genesis clear to Revelation. Entire books of the Bible are dedicated to telling a specific story. Some of these are stories of good triumphing over evil, while others are heartrending stories that tell of death and destruction. Some stories are funny; some are poignant; and some just make you shake your head. What is the purpose behind all of these stories? Are they simply fairy tales? Did God supply the stories to break the monotony between genealogies and laws? There is a purpose for the wide variety of stories. Every Bible story has a purpose—as would be expected of a book inspired by the great and purposeful Almighty God. The apostle Paul listed some of the purposes for the Bible in 2 Timothy 3:16: “for doctrine, for reproof, for correction, for instruction in righteousness.” Bible stories can make these purposes and lessons come to life for all of us. God also recorded these stories to help parents in the vital job of teaching their children. God wants us to “remember His marvelous works which He has done” and to diligently teach our children His good ways (1 Chronicles 16:12; Deuteronomy 6:7). 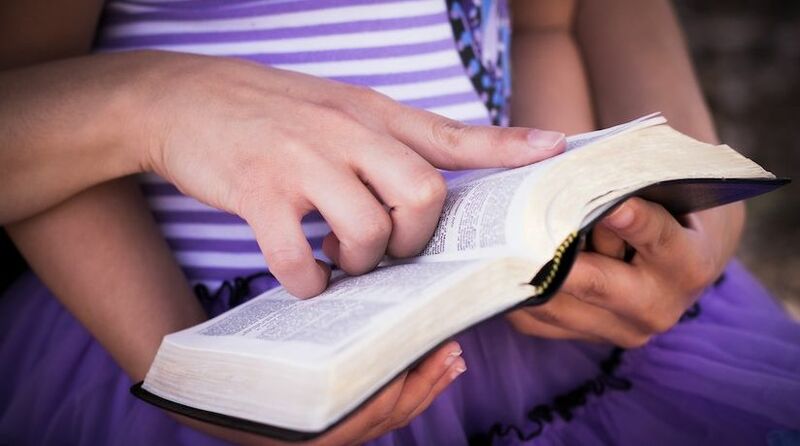 We hope the Bible stories in this section (see the links below this article) will help people of all ages, and especially parents reading them to their children. Whether for our education or to encourage us, there is always a reason God placed each story in the Bible. Though some of the stories of the Bible, such as the parables, are illustrations used to teach a lesson, all the examples in this article refer to real-life, historically accurate accounts that God also recorded for our learning. One purpose of Bible stories is so we can learn from the bad examples (1 Corinthians 10:6, 11). The Bible has many stories that reveal to us examples of humans trying to live life without God or succumbing to one of many human weaknesses. For example, in 2 Chronicles 26 we read the story of Uzziah, who was actually one of Judah’s better kings. Uzziah became king when he was only 16 years old, and he had a long reign that was full of military victories. He was one of the few kings who had a personal relationship with God and was successful. Yet he started to grow proud and went against God’s law. Proud because of his power and the strength that God had given him, he decided that he would offer incense up to God, something God had commanded that only the priests should do. When the priests resisted Uzziah and tried to tell him that it was not his place, he grew angry with them. While he was arguing with the priests who had dared to go against him, God cursed him with leprosy. He was forced to live by himself for the rest of his life. What’s the purpose behind this story, set long ago in ancient Judah? Its purpose is so we can learn from King Uzziah’s example. His success caused him to grow prideful, and he came to disregard God’s law. We have to be on guard so that pride doesn’t strike us when God blesses us with success. We have to learn from the bad examples if we don’t want to follow in their footsteps. Of course, the Bible doesn’t just record the bad examples that people have left behind. There are many good examples in the Bible as well. One of these is the example of Hezekiah, another king of Judah. When threatened with imminent destruction at the hands of the mighty Assyrians, Hezekiah asked God for assistance. Instead of being arrogant like Uzziah had been, Hezekiah tore his clothes and knelt before God. When he received a letter from the enemy, he laid it before God and humbly asked God for His help (2 Kings 19). If Hezekiah had relied on his own feeble strength to pull him through, he would have almost certainly been annihilated. However, since he relied on God, his enemy was destroyed and his kingdom was safe for many more years. Another excellent example in the Bible is that of the heroine of the book of Ruth. After losing her husband and father-in-law, Ruth stayed loyal to Naomi, her grieving mother-in-law, and went with her to the land of Israel. After arriving in Israel, she worked diligently to provide for both herself and Naomi. Her loyalty and hard work were noticed by several, including a wealthy farmer named Boaz. He made sure that Ruth and Naomi were taken care of, and he eventually married Ruth. Because God is a great, infinite and invisible Being, how do we come to comprehend who He really is? How can we learn about God? How do we know who God is and what He is like? We can learn about Him through what others say in the Bible. For example, Paul tells us that God “cannot lie” (Titus 1:2), but that simple statement generally doesn’t fully sink in until we read through an account like the story of the Exodus. There we see the extreme measures to which God will go in order to keep His word. He even took on Egypt, the world’s mightiest empire, by sending 10 devastating plagues. He did this in order to free the enslaved Israelites due to a promise He had made to Abraham hundreds of years before. God demonstrated clearly to the descendants of Abraham—and to us—that He is completely truthful and fulfills all His promises. The Gospels also help us learn more about God. In the Gospels we see the Son of God—Jesus Christ—as a very personable Being who ached, hurt and felt like we do. More than that, these four books record His story for us to read. If you want to know what God is like, read the accounts of Jesus’ life as a human in Matthew, Mark, Luke and John. For example, most people know that Jesus Christ was a man of peace, but did that mean He would just always let people disrespect God and His temple? We can find the answer in Mark 11:15-17. It’s encouraging to know that God takes notice of not only the great, but also the small who serve Him. During a visit to the temple in Jerusalem, Christ saw that there were profiteers who were making money off of the poor, God-fearing people who came to worship their Creator in the temple. Angry over the situation and the mockery of God’s holy temple that was making it like “a den of thieves,” Christ made a whip and herded the livestock out, as well as overturning the tables full of money taken from the poor. We know God better and more clearly through the real-life stories documented in the Bible. Some Bible stories are also very encouraging on a personal level. An example of this is the story of the widow’s mites (small copper coins; Mark 12:41-44). In the midst of all of the rich men giving large offerings to God in the temple, Jesus Christ took the time to notice a poor widow who gave two little coins. He realized that it was everything she had, and He pointed this out to His disciples. It’s encouraging to know that God takes notice of not only the great, but also the small who serve Him. There are many encouraging stories of God miraculously delivering His people as well—from Shadrach, Meshach and Abed-Nego, whom God saved from death in an incredibly hot furnace (Daniel 3), to the apostle Paul, who was stoned to the point that his enemies thought he was dead (Acts 14). “However, when the disciples gathered around him, he rose up and went into the city”! (verse 20). The great Creator God healed or perhaps even resurrected Paul! These Bible stories are very encouraging, reminding us of God’s awesome power and His love. They can lift up our spirits when times are tough. There is another reason stories are in the Bible—to answer the questions of life. Why is there evil in the world? Why do the good suffer? There are Bible stories that help us more deeply understand the answers to many questions like these. The Bible tells us that there is evil in the world because of the rebellion and deceitfulness of a demonic being called Lucifer and Satan (Isaiah 14). Once one of God’s greatest angels, Lucifer became proud and turned into God’s greatest adversary. After swaying a third of the angels to his evil way of thinking, he started a rebellion against the Almighty and was cast to the earth. After his original rebellion failed, Satan later tried to destroy humankind and ruin God’s plan of salvation. Satan tempted the first two people to eat of the forbidden fruit (Genesis 3), which set the pattern for humanity’s awful decisions and horrible sins since then. He even tried to tempt Christ to disobey God (Matthew 4:1-10). Without the Bible, the answers to these key questions of life would remain hidden or only academic. The biblical stories bring the answers to life and give us hope. The many stories in the Bible are given for a reason and a purpose. Whether it’s to encourage us in the hard times or to help us learn a lesson the easy way, God has told us these stories for our eternal benefit. For more about gaining the most from God’s messages in the Bible, see the other articles in the “Bible Study” section. And for specific stories to read and share with your family, see the articles in this “Bible Stories” section. New articles are being added frequently, so check back often.